Coder Mindz is the latest programming game from the maker of Coder Bunnyz, nine year old Samaira Mehta along with her brother Aadit. In Coder Mindz, you are a programmer of a bot in the year 2045. Players create code and train their robot to “identify” images and collect data, using tokens represent the images and date. Coder Mindz has multiple levels of play which increase in complexity as you move through the levels. Each level adds additional coding skills and strategies. Like its predecessor, Coder Mindz has you using cards to program the motion of your Bot to land of their end point. There are multiple variants which increase in difficulty as you gain skills in the game. Zap cards are also incorporated in multiple variants. Zap cards send an opponent back to their starting space. Players start their turn by rolling a sisix-sidedie which has the numbers one, two, and three on it. Then they draw the number of cards indicated by their roll. The active player determines the order they wish to use their cards, discarding any that are unplayable. A player may also play a Zap card during their turn at any point their Bot in a position allowing the use of a Zap. However, a Zap card may only be used once per player per game. The player moves their Bot based on their program cards. The first player to get to their end point wins. The remaining players can continue playing to determine the second, third and fourth place. In the Training mode, players start by becoming familiar with the Code Cards and how they can plan bot movement with basic Code Cards. Advanced Code Cards are introduced only one per turn in Advanced Training. Image Recognition incorporates one image token which is split into two pieces. Players place the two pieces strategically on the board. Before the bot reaches their endpoint they need to collect both image pieces. Players can scale the level of difficulty by adding or omitting advance function cards as well as Zap cards. Autonomous mode of play has players plan their whole code before moving their Bot. Players then execute the code they developed correctly. Players place the image tokens on the board. They take turns rolling the die to determine how many cards to draw each turn. Once determining the next steps of their code the cards are placed face down, so the players have to remember where it would put them on the board. Once a player thinks they have “programmed” their bot to collect the image tokens and arrive at their endpoint they announce that their code is complete. The player then flips their cards over an follows the code to move their Bot. If the code is successful the player wins, if not they have a chance to debug their code, but can not win the game. 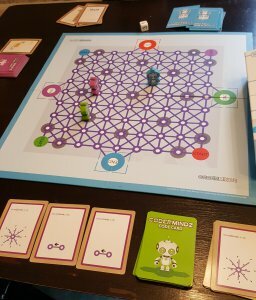 Coder Mindz presents the concepts of coding in an accessible format for a young player, but it is also engaging for older players. Having three modes of play with two levels of difficulty at each level makes the game easy to scale based on the age of the players as well as the experience they have with creating code. 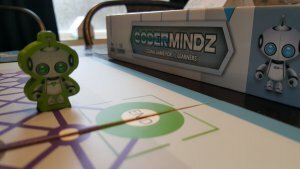 I introduced Coder Mindz to two 6-year-olds at a family gathering, and both kids picked up the basic game within minutes. They were so engaged and excited by the game they wanted to play again as soon as our robots got to their endpoints. Of the coding games I have had the opportunity to play, Coder Mindz is the most streamlined and easy to learn. The limited number of variants keep it from being overwhelming, and the components are easy to manage for younger players. This is a great tool for teaching code at any age. The Bots are adorable and engaging for players of all ages. The Autonomous Mode is challenging and demonstrates the accuracy and precision needed in writing code. Coder Mindz is a great introduction to coding by using cards to program motion. Of the coding games in my library this is my favorite. FCC Disclosure: A copy of Coder Mindz was provided for review. Nintendo announced their new line of DIY Cardboard STEM toys last night: The Nintendo Labo. Its a collection of kits that include pre-punched cardboard sheets and instructions to turn them into peripherals for the Nintendo Switch. Two kits will launch on April 2oth, 2018. The first is a Variety Kit that will include the components to make a piano, a toy house, a fishing pole, a pair of “remote-control cars,” and a set of handlebars for a motorbike. The second is a backpack harness that lets players control a giant, building-smashing robot a-la the Jaegers from Pacific Rim. 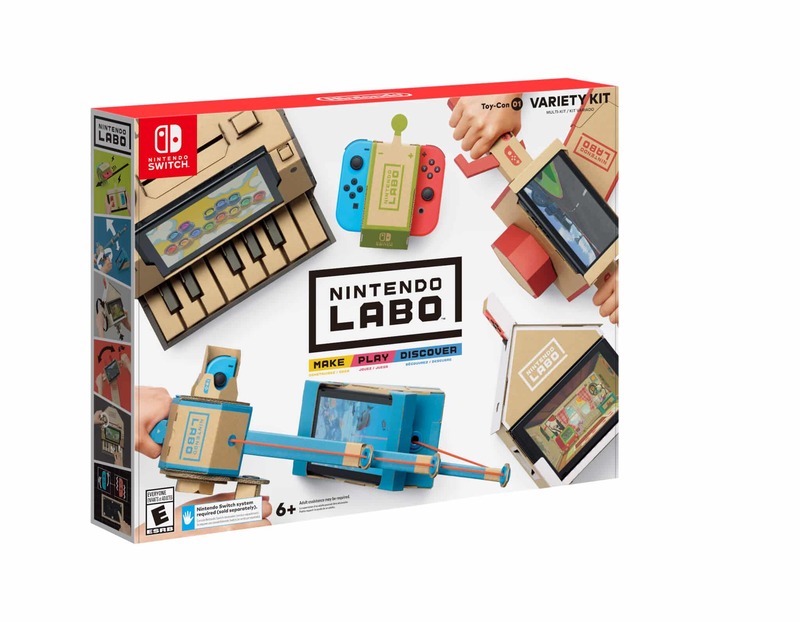 NINTENDO: Nintendo Labo is for kids and those that like kid stuff! ADULT GAMER: Okay, but what if I don’t want it? NINTENDO: Totally fine. It’s for kids. ADULT GAMER: Yes, but cardboard? Really? Not in my game room! ADULT GAMER: But how is it for me? With that said, I don’t think the kits are without risk. 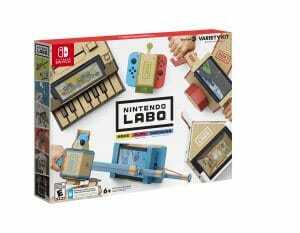 I’ve spent the last day thinking about it and have some thoughts about the risks and the potential rewards of purchasing, and playing with, Nintendo Labo Kits. The Labo kits are made out of cardboard. All signs are pointing to the cardboard being of the thicker variety, but at the end of the day it is still cardboard. This means that these things have the chance of being very, very flimsy. I can imagine a lot of families will buy these things, build them, and have them broken after a few uses by a rambunctious child or pet. Some of the early previews from places like The Verge have said that the kits seem pretty durable, but we really won’t know how much punishment they can take until they are out in the wild. The Variety Kit and the Robot Kit are $70 and $80 respectively. That is a lot of cash. Now, both of those kits come with a cartridge that includes software, but we have no idea what’s going to be on it. $150 for both kits is a TON of cash in today’s economy and I think that will, unfortunately, leave a lot of families out of the fun. Also, these kinds of toys can’t really be shared so the price will never come down like they do on most video games. The fact is that we really have no idea how fun any of the mini-games will be. If the cartridges are filled up with a bunch of trash and tech demos a lot of kids will just bounce off of them and create a LONG line of resentful parents. I don’t really see that as a good look for a company that is just starting to build momentum. What kid DOESN’T like building things? LEGOs and other building kits have never been more popular so this does seem like a natural success. I can absolutely see a bunch of kids getting hyped to build their own game peripherals. A lot of younger kids learned to play Super Mario Kart using the plastic steering wheels that you put Wii-motes in. These kits give them the change to build stuff that is way cooler. The piano kit works by using the infa-red sensor on one of the Joy-Cons to detect the movement of silver tabs to play music. The remote controlled cars work by using the precise vibrations from the HD rumble in the Joy-Cons to move themselves. That’s just two of the projects in one of the kits. Kids are going to learning some very interesting engineering tricks that are being used by a company that is used to achieving miracles using relatively simple technology. The learning potential is incredible for kids who are interested in taking advantage of it. The instructions for building the Toy-Con kits are all displayed on the Switch tablet. They are manipulated using touchscreen controls. This makes building the different kids ideal fort a two person team. I expect that a lot of parents will be teaming up to build these toys and play with them. That kind of family time is invaluable. What do you think? What are you concerned about? What are you excited about? Sound off in the comments! Every time I think Nintendo is going to act predictably I end up looking foolish. They announced this morning that they would be posting a new video tonight that would demonstrate a new “interactive experience” that was “specially crafted” for kids. I assumed that they were just talking about a game. I like to give myself partial credit, so I’ll give myself 1/10th of a point. Nintendo showed a new video announcing Labo. 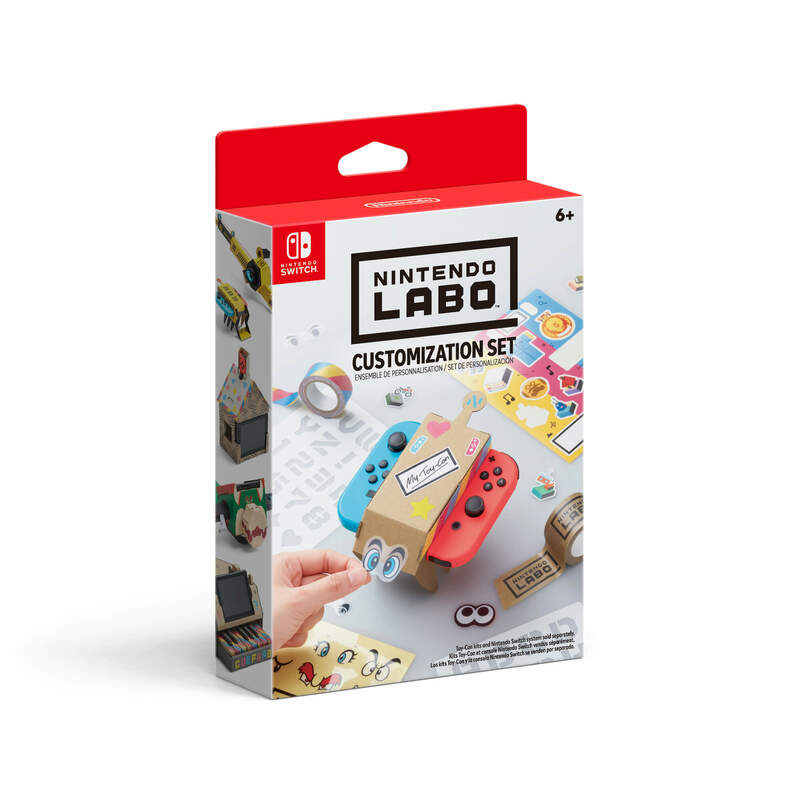 This is a bizarre line of DIY cardboard kits that let kids (or adults) build attachments for their Joy-Cons and play various mini-games. 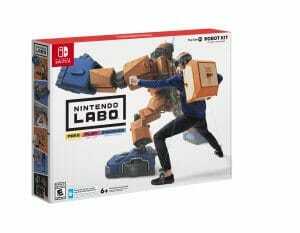 On a high level, Labo works by providing a set of pre-cut cardboard sheets that you punch out, fold, and connect in order to build different attachments called Toy-Cons (ADORABLE name btw). Once the Toy-Cons are built you can use them to play a set of mini-games either on the Switch Tablet or using the Switch tablet as a controller. There will be two Toy-Con sets at launch on April 20th, 2018, but I am certain that more will be launched over the course of the year. 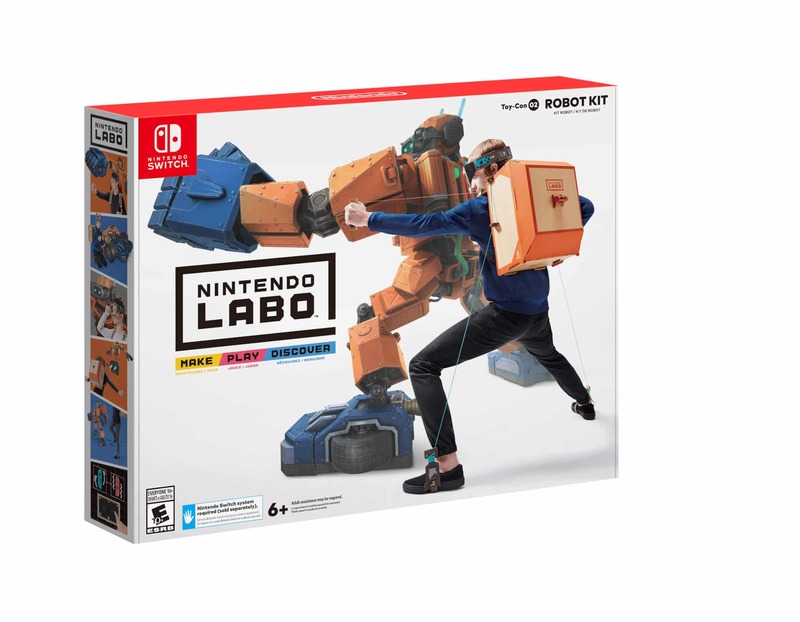 Labo is a STEM toy at its core and represents a huge shift for Nintendo. When the Switch launched last year Nintendo focused on games that appeal to the standard gaming audience. They did a great job releasing The Legend of Zelda: Breath of the Wild and Super Mario Odyssey in one year. But, they definitely played it safe. Labo is different. This brings Nintendo back to where they were with the Wii. They are releasing a product whose core attraction isn’t a traditional game. Instead, Labo focuses on three core experiences. The experience of punching the cardboard sheets and following on-screen instructions on the Nintendo Switch tablet evokes the same feeling as building a complex LEGO set. Reports from around the web on places like The Verge are telling us that some of the sets can be completed in as little as 15 minutes, but will be best when done by a parent and child working together. This kind of social experience is something that was missing during Link’s solitary adventure last year. 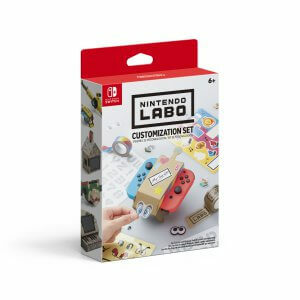 I never would have expected Nintendo to try and capitalize on the growing maker movement among families and in educational circles now, but this is a great way to do it. Our kids are already excited about it and they’ve only seen a 2 minute long promo video. It wouldn’t really be a Nintendo product if it didn’t include a game. Each of the Toy-Con sets includes a cartridge full of mini-games and other software that will help kids play with their newly built creations. We don’t know many details yet, but I am super hungry to play the robot game if for nothing else because that robot can transform into a car! Once kids have built their Toy-Con Accessories, and played their mini-games, they can then use the Discover mode to get information about how the Toy-Cons work. For example, the piano works by using the Joy-Con’s camera. When you plug the Joy-Con into the back of the box it can see the cardboard pieces moving when you press the keys. The software translates that movement into song! This learning component is something that is a perfect fit, too. The market has been flooded in recent years by toys and games that let kids figure out their inner workings, but none of them have the polish of a Nintendo game. This has the chance to be something special. I will admit that I am very excited to see the Piano included in this set. It reminds me of when Nintendo packaged the music maker alongside the Mario Paint game for SNES. This Piano is going to see a LOT of use. I can’t want to see the cool YouTube videos that kids will create with it. Nintendo Labo will be launching on April 20th, 2018 and we can’t be more excited for it. Is this something that your family will be picking up? Sound off in the comments!